Suzzette Jaskowiak, Senior Director IT Pharmacy Delivery for Walgreens, is responsible for the technology that enables 8,200 stores to process more than 3 million scripts on a given day. In her role, Ms. Jaskowiak manages teams operating the technology platform day to day and teams developing applications that enable the prescription fulfillment process. She created and is the executive sponsor of Walgreens Women in Technology and is a founding member of Walgreens Executive Diversity and Inclusion Council. She is committed to encouraging girls to participate in STEAM at her local high school and through Girls Who Code. She is involved in a number of volunteer organizations that benefit children’s learning including Destination Imagination and Bernie’s Book Bank. With more than 25 years of experience across application development, infrastructure, and operations, Ms. Jaskowiak has a broad spectrum of experience in consulting, technology and the creation and management of lines of business for organizations as diverse as Accenture, ABN AMRO, and Forsythe. 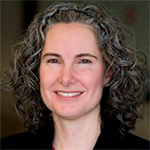 She holds a Bachelor of Science in Computer Science and Mathematics from Santa Clara University and a Master of Science in Mathematics from the University of Illinois at Champaign-Urbana.